Z-Hunter Biohazard Assisted Open Folding Pocket Knife Green | BUDK.com - Knives & Swords At The Lowest Prices! Everyone, zombies and otherwise, will take heed when they see this Z-Hunter biohazard folding pocket knife. It features a partially serrated stainless steel blade with a striking skull pattern. Engage the fast assisted-opening mechanism with your choice of the blade spur or thumb stud to access the blade. 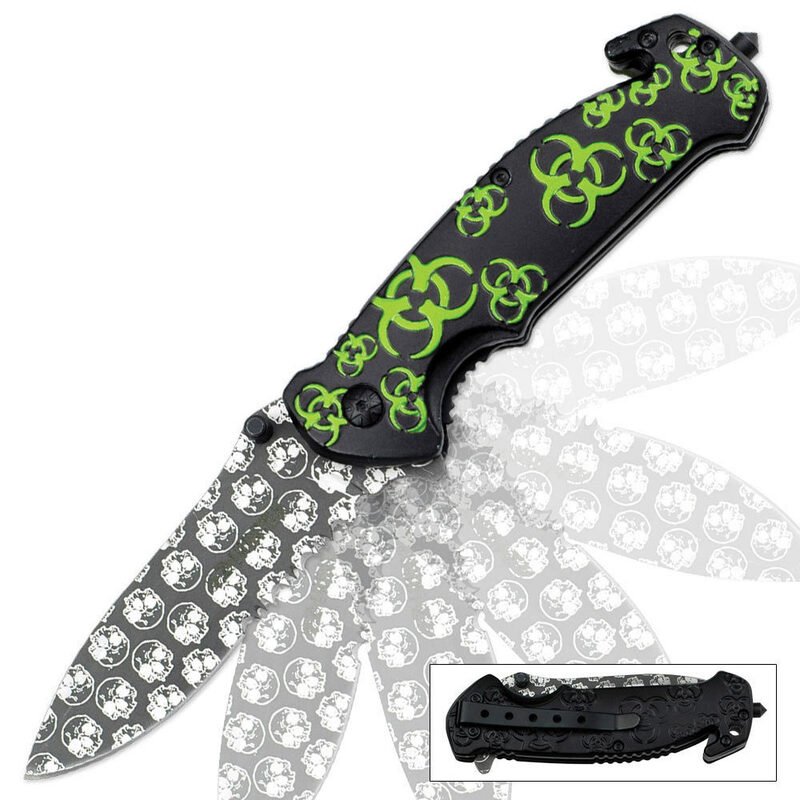 The aluminum handle is speckled with bright green biohazard symbols, and it features a belt cutter and glass break spike. This makes a great rescue knife, and you can clip it right to your pocket with the built-in clip.